When extended families gather together, from grandparents to siblings and first cousins, the convergence of multi-generational ancestors is made extra memorable when everyone shares pictures. Not just those recent activities stored on mobile devices, but also generations of analog photo snapshots, 35mm slides, and negatives from yesteryear. This helps build a legacy of storytelling to unite families on a genealogical tour to recall ancestors and the whole family’s history. 1) SCAN. Start by asking each family member to gather all their photographs and have each one digitized. There are several easy ways to affordably digitize pictures, from the ScanMyPhotos.com pay-per-scan option, to its popular fill-the-box services to scan about 1,800 pictures, and the much larger Family Generations Collection, where more than 10,000 photos are digitized with free shipping and completed in days. 2) NARRATE AND RECORD. At the reunion, gather together in front of a large television and sync to the photo files. Set up a camcorder in the rear of the room to record the narratives, as each person shares the stories behind the picture. This is always emotional, and filled with laughter and even weeping chronicles of past events and remembrances from deceased relatives. Provide all the attendees with a copy of the recorded walk down the genealogical path to preserve your family’s timeline. Fellow longtime subscribers to the iconic National Geographic magazine will enjoy this sped-up peak into its famed covers. Over the last 130 years, National Geographic has changed the look of its magazine but never wavered from its commitment to explore ‘the world and all that is in it’. In this short video, watch the evolution of this iconic cover while reliving some of the most famous milestones along the way. The passing of parents and/or the inheritance of an estate can be a difficult and complicated time for family members. 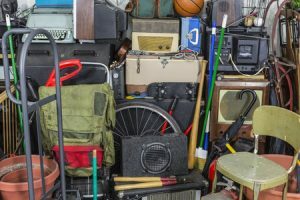 Issues can arise over the remaining unclaimed stuff—antique furniture, old clothes, and, of course, the boxes of family photos. Oftentimes one sibling is burdened or guilted into finding a way to store and keep the lost loved one’s things. And it’s a burden that’s difficult to bear. This was the issue facing College Confidential user, Montegut, who posted a recent thread asking the community for advice on how to deal with her siblings after her parents’ passing. Apparently, after the death of her mother, Montegut was asked to hold onto her mother’s furniture, belongings, and print photos until her siblings could come and get them. Since she didn’t have room for these items in her home, she was using money out of her own pocket to rent a storage space. However, her siblings haven’t picked up or claimed any of the stuff for years and are now asking Montegut to be responsible for digitizing family print photos. A Valentine’s Day Gift Idea: Photo Books!